The Mail on Sunday published an article on their website and in their newspaper featuring some of the best properties on the market in France. Out of the 10 properties they selected for the article 2 were from French Property Links. Here's a link to the article on their website: French Property Links on Mail Online website. 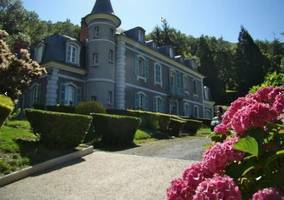 The breathtaking scenery of the Hautes-Pyrenees is the backdrop for this magnificent 18th century chateau which stands majestically on the hillside looking over to the mountains that divide France from Spain. PRICE REDUCED The property comprises a large fully renovated 5 bed watermill, a gite complex with two gite's, a heated pool, a barn with playroom and storage, a garage/workshop, a 1,5 acre fishinglake surrounded by woodlands with footpaths, meadows, and lush private gardens surrounding the house. Congratulations to Chalus Immobilier and Property Sales in France - who now have a major feature in the highest circulation Sunday newspaper in the UK! 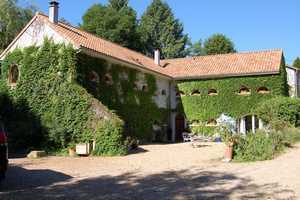 If you have one or more properties for sale in FRance why don't you contact French Property Links? We have one of the best websites for hitting the international market, with daily visitors from the UK, France, Belgium, Italy, The Netherlands, Australia, USA, Ireland, Canada, Germany, United Arab Emirates.... and the list goes on. Can you afford to miss out? Take advantage of advertising on French Property Links.